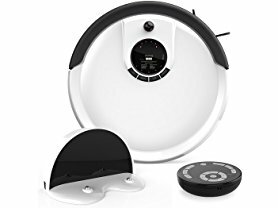 Hurry over to Woot.com because today only and while supplies last this bObsweep Junior Robotic Vacuum Cleaner is only $139.99 (Reg.$249.00)! Offer valid 6/13 only. Shipping is FREE for Amazon Prime Members or only $5 flat rate.